 All Tickets (sold through our ticket office, or www.teatroverdifirenze.it and www.ticketone.it websites, as well as by one of the authorized sales points) are subject to these Terms and Conditions. These Terms and Conditions should be read carefully prior to purchase and any queries relating to them should be raised with us prior to purchase, as purchase of Tickets constitutes acceptance of these Terms and Conditions. A valid Ticket must be produced to get into an Event. Removing any part of, altering or defacing the Ticket may invalidate Your Ticket. It is Your responsibility to check Your Tickets as if you have made a mistake it cannot always be rectified after purchase. We will not be responsible for any Ticket that is lost, stolen or destroyed. It is not possible to issue duplicate tickets. Where a concession is claimed, proof of identity and concession entitlement (for example of age or student status) may be required. It is Your responsibility to ascertain whether an Event has been cancelled or re-scheduled and the date and time of any re-scheduled Event. In the event of a cancellation of a performance or Event, we shall have no further liability other than the face value of the show ticket. Any refunds will be made only upon precise instruction of the Promoter of the show, whose identification data are shown on the ticket itself. Timetable | The ticket office will reopen on 1st September with this timetable: from Monday to Saturday from 10 to 13 and from 16 to 19. On days when there is a show on at the theatre: on weekdays, the ticket office will also be open 20.00 – 21.00, for shows taking place in the afternoon (16.45 start) or on Sunday, it will be open from 15.00 to 17.00. Accepted methods of payment | Cash, ATM card, cheque payable to Antico Teatro Pagliano Srl may all be used. Credit Cards and Poste Pay Cards are not accepted. Opening hours: Monday to Friday (10.00 – 19.00) or Saturdays (10.00 – 14.00). Closed on Sundays. Accepted methods of payment | Cash, ATM card, check payable to Nuovo B.O. Srl. – “Box Office” Circuit Toscana | It is possible to buy tickets all over Tuscany and its surrounding areas at more than 100 shops of the circuit with a fee of 2 euros as well as the price of each ticket. Link with the complete list. Reductions are not usually available online; however, if they are, this will be indicated at the time of purchase. Tickets are non-refundable and non-replaceable, unless the event itself is cancelled. In that case, information for obtaining a full refund will be published on the website. Should you have any complaints, please email the ticket office at info@teatroverdionline.it, or theatre services at teatro@orchestradellatoscana.it. The theatre has its own internal regulations, which are available for download here (italian text). The presence of disabled people are appreciated and well received. The theatre’s staff is available for any possible requests. The conditions that set the purchase of tickets are available for download here (italian text). The theatre has a cloakroom, located on the right side of the foyer. In the occasion of children show’s, cushions are available at the wardrobe to raise the seat and improve the view of the little spectators. The service is free with proof of your identification card. Binoculars are also available for hire. The theatre has a bar managed by Gerist. The toilets are located in the foyer and at each level of the box tiers. For the end of the shows, a taxi-calling service is available and, usually, a steward service.